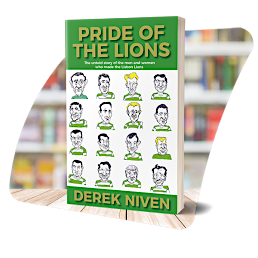 Following on from Derek Niven’s first book in the ‘Pride Series’, Pride of the Lions, a genealogical history of the Lisbon Lions, he turns his attention to the great football managers Scotland has produced in Pride of the Jocks. Once again, this book is not just about the footballing achievements of Scotland’s greatest managers. 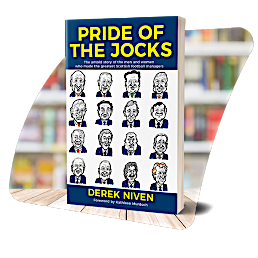 It tells the story of the unsung men and women who made the 16 greatest managers, through the extraordinary tales of their family histories. Pride of the Lions commemorated the 50th anniversary of the Lisbon Lions winning the European Cup in 1967. In some small way Pride of the Jocks commemorates the 60th anniversary of the terrible Munich Air Disaster and the 50th anniversary of Manchester United winning the European Cup – both synonymous with the legendary Sir Matt Busby.